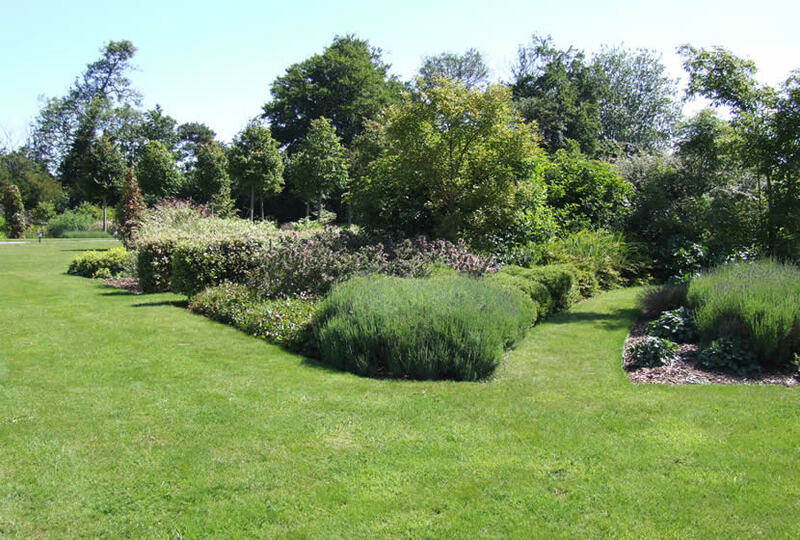 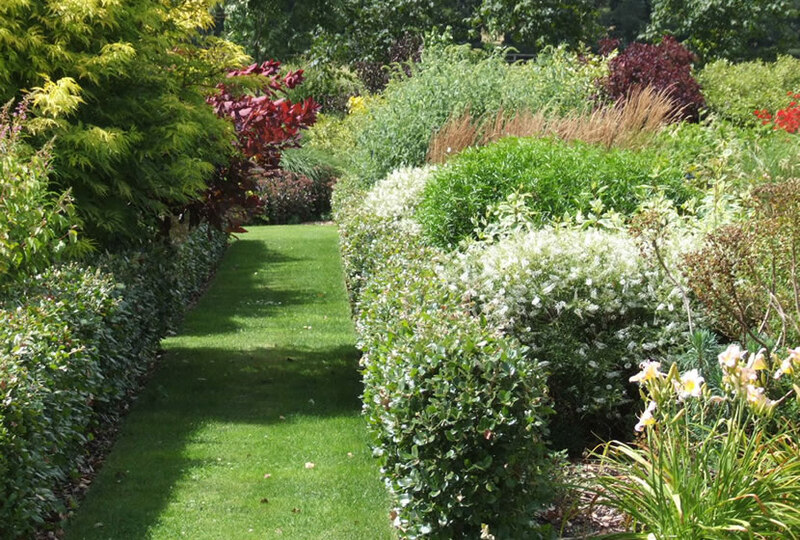 This high specification garden design transformed the 2.5 acres of former paddock style garden, from a single view across open grass; into a divided garden, with a series of framed views in different directions leading the eye across different character areas. 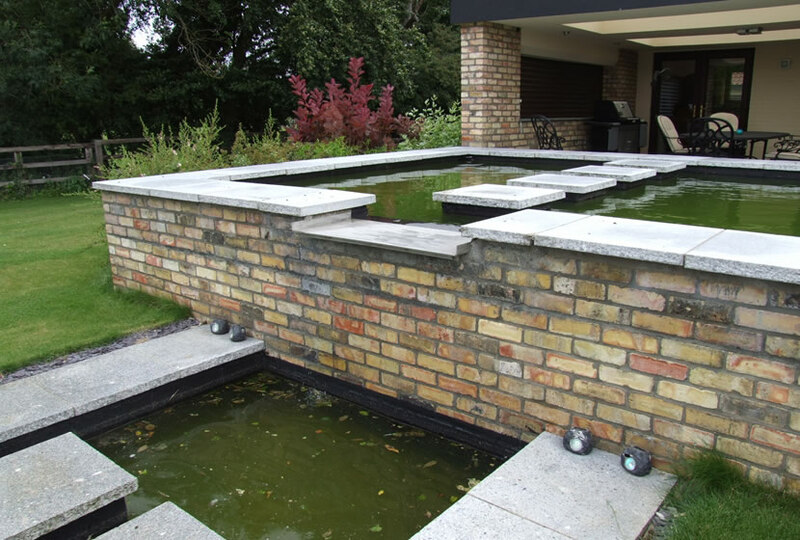 Terraces were laid with green granite and slate to include a hot tub, breakfast and sun bathing terraces; a tennis court was introduced along with a large, naturalistic pond with central waterfall; formal rill, weir pool and fountains; large shrub and herbaceous planting areas; native planting areas and orchard trees within swathes of long grass and bulbs. 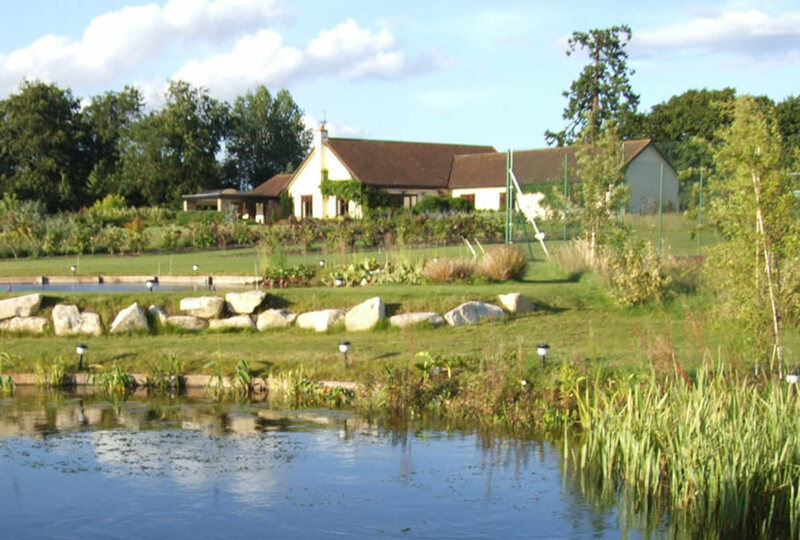 Retaining the views out of the garden to paddocks beyond were of key importance, therefore, views were streamlined by creating a number of avenues and vistas between areas of planting and the water features, as shown in the Proposed Concept Plan. 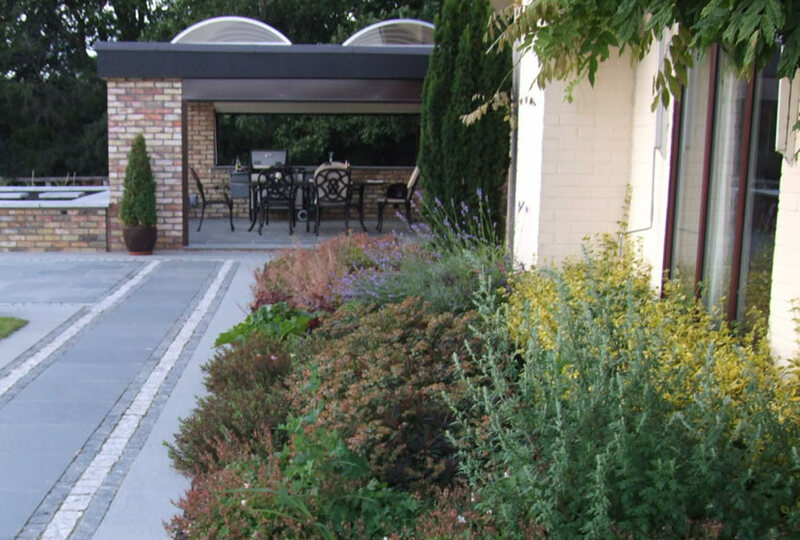 Our clients enjoy entertaining and wanted to incorporate a covered outdoor dining area as an extension to their music room, linking the garden with the main terrace that encompasses the rill and more formal elements of the garden. 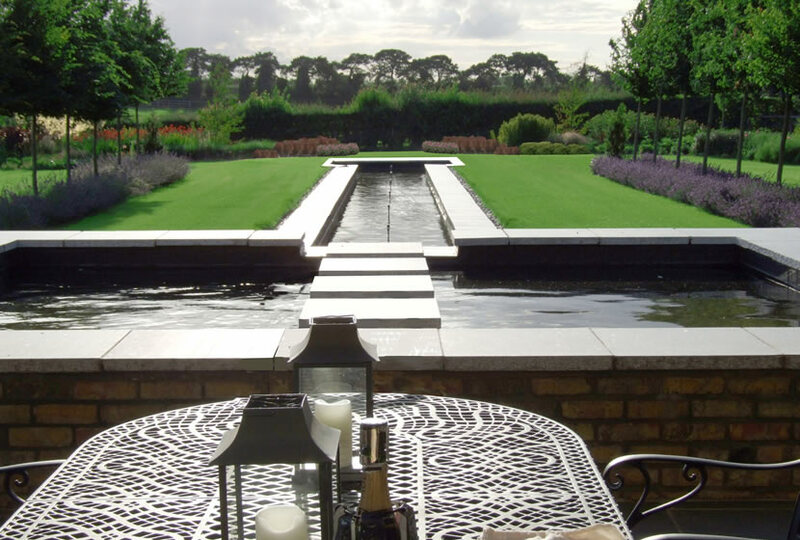 The rill contains a number of fountains and LED lighting for night time illumination, whilst it is bordered on each side by a line of pleached Hornbeam trees, under planted with lavender.